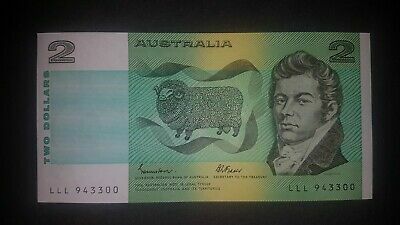 1968 $2 Phillips/Randall, higher grade, almost UNC. 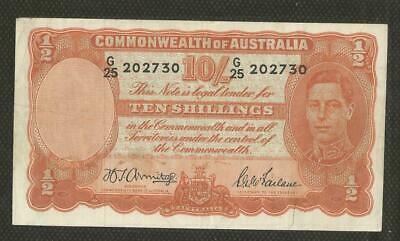 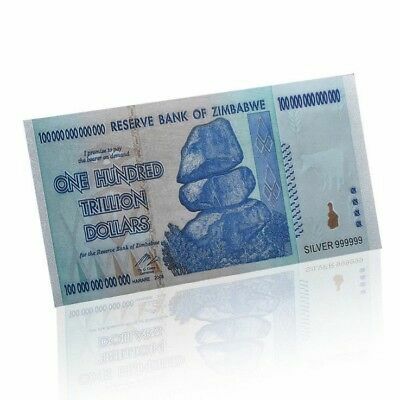 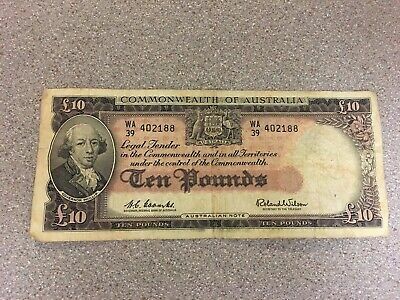 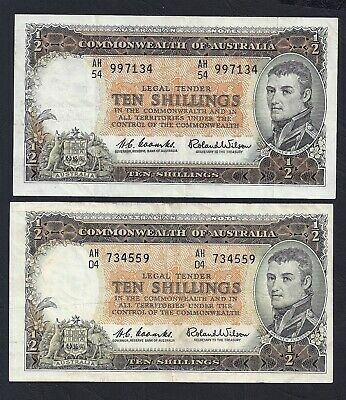 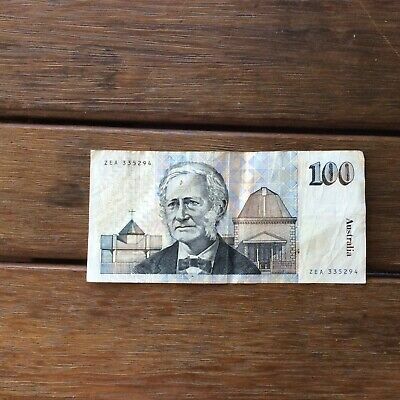 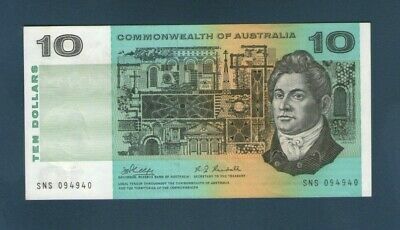 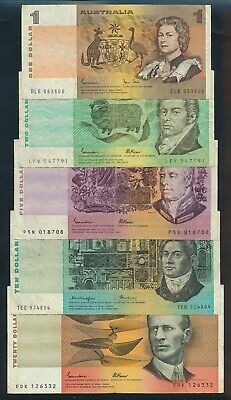 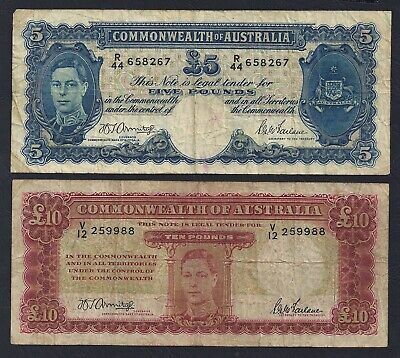 $10 2015 Last Prefix DF15 Unc Stevens/Fraser banknote UNC. 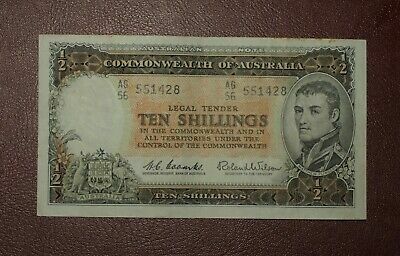 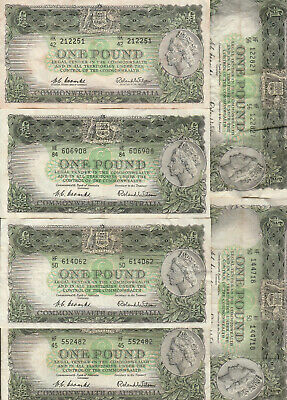 1961 Ten Shilling Note Coombs/Wilson - Nice Crisp Condition - 99c NR!!! 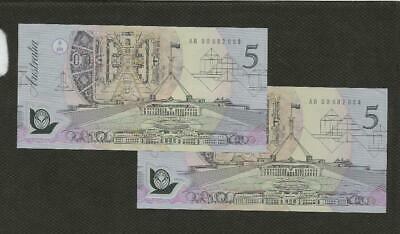 1992 $5 Fraser/Cole. 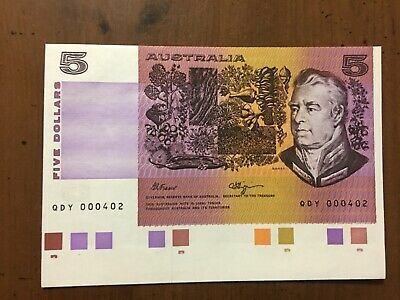 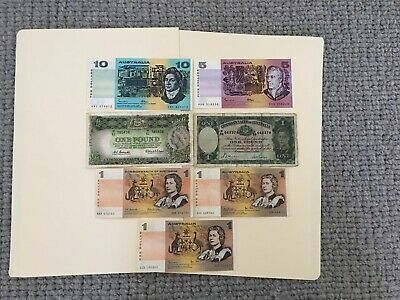 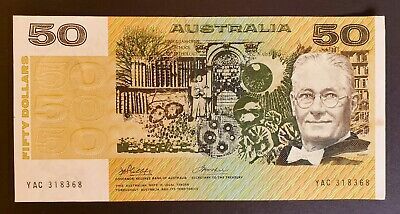 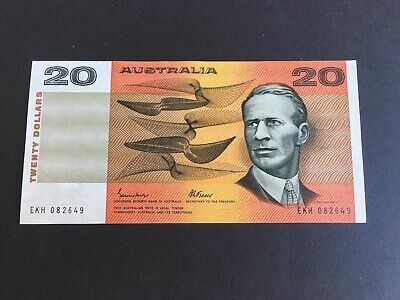 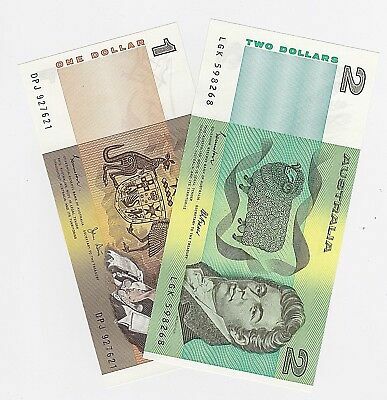 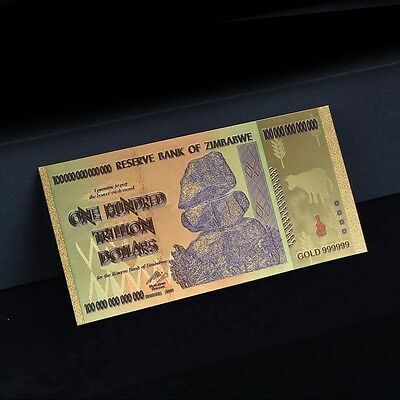 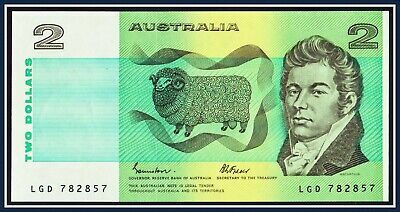 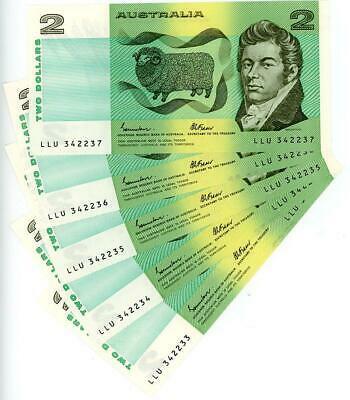 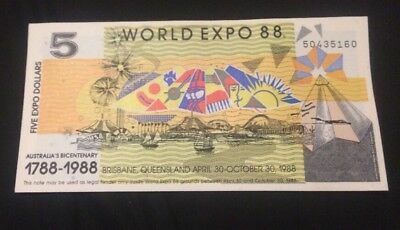 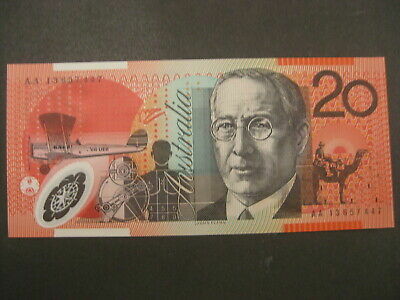 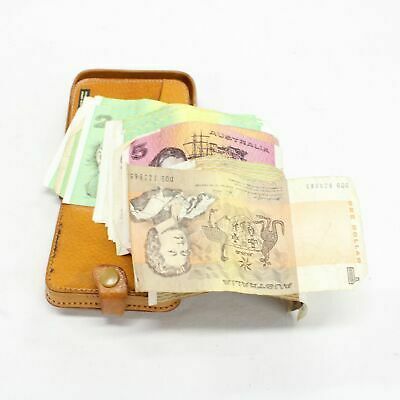 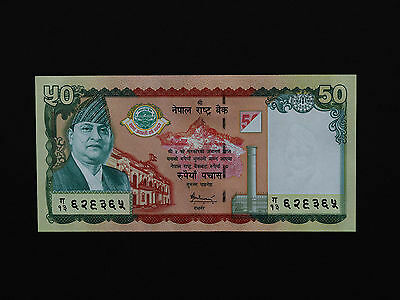 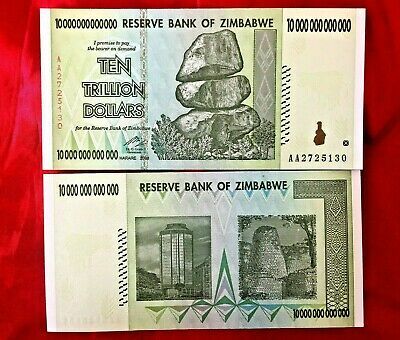 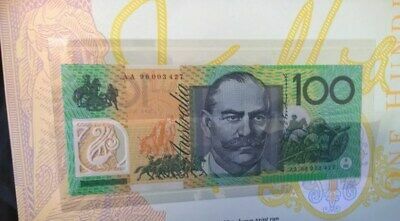 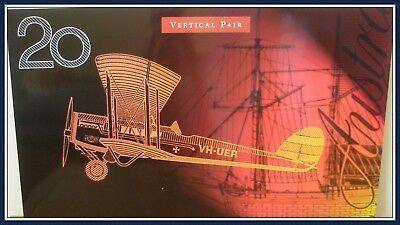 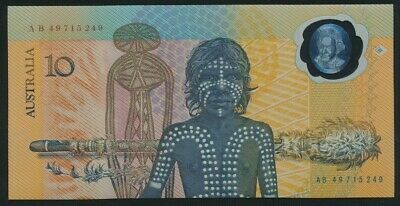 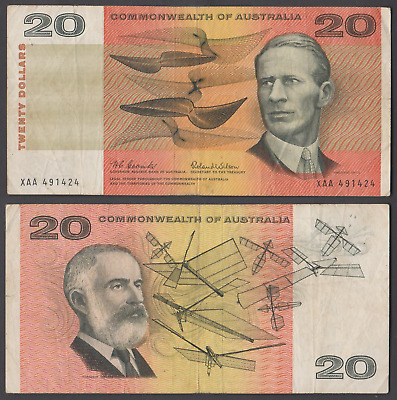 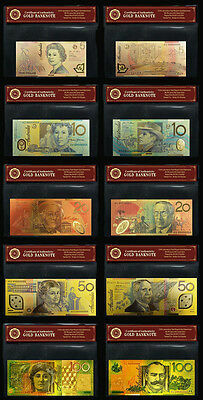 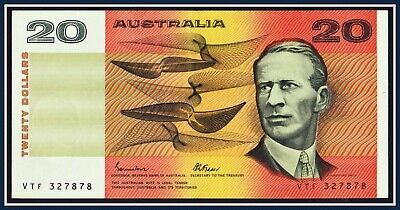 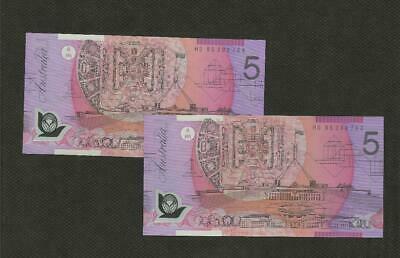 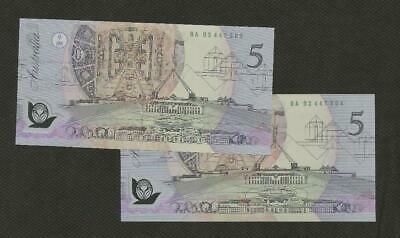 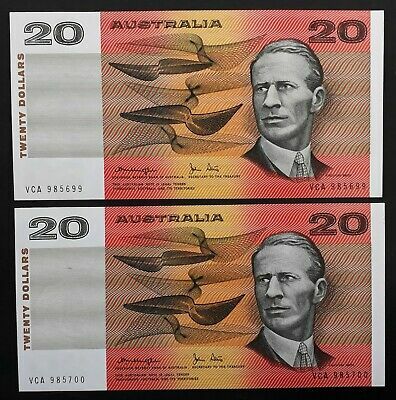 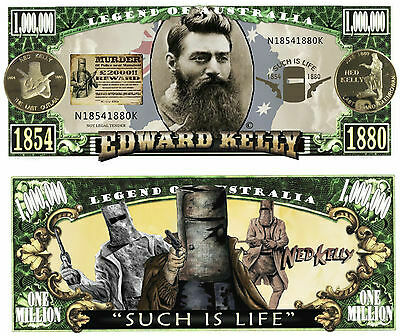 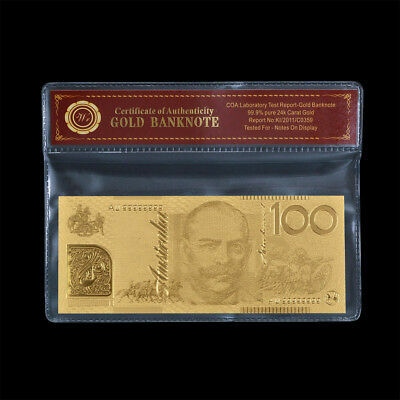 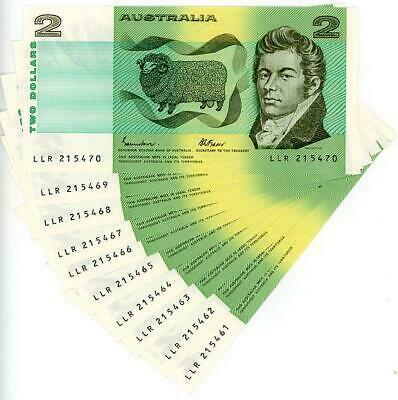 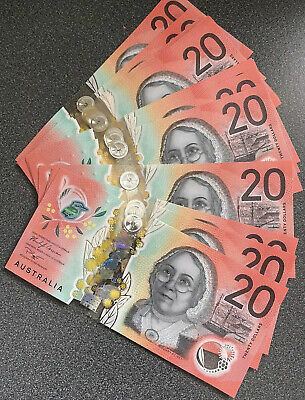 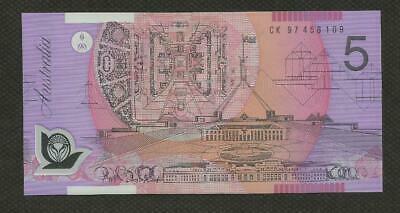 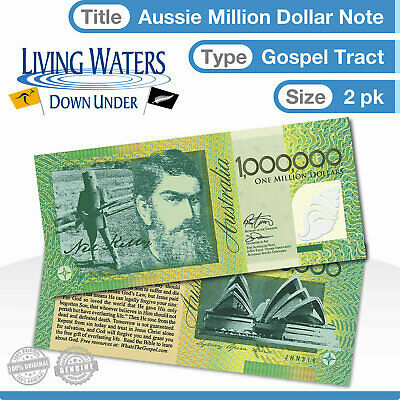 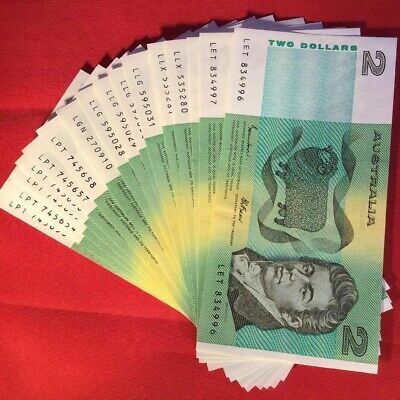 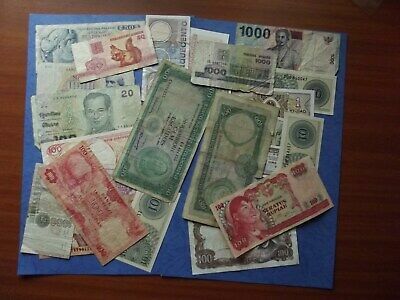 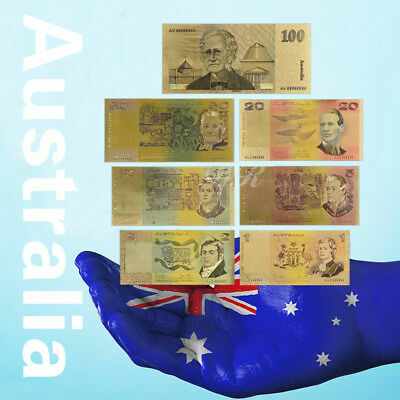 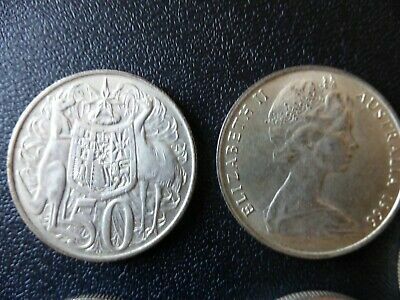 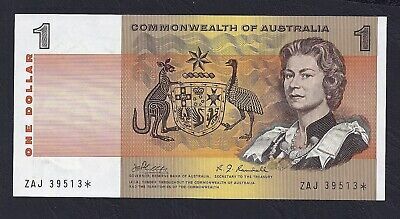 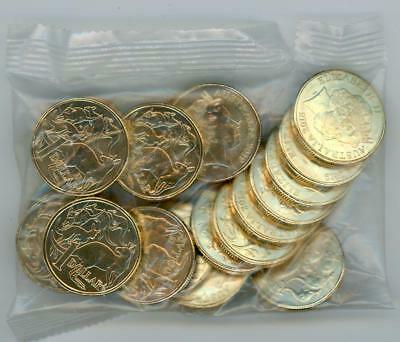 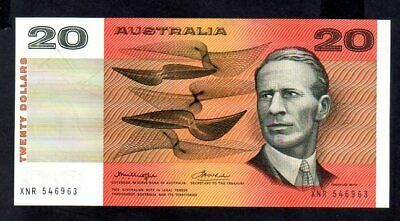 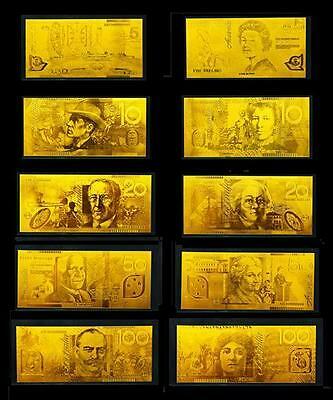 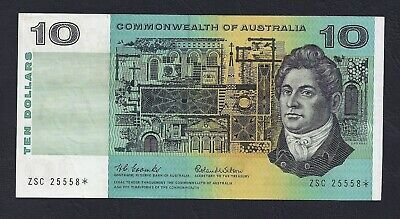 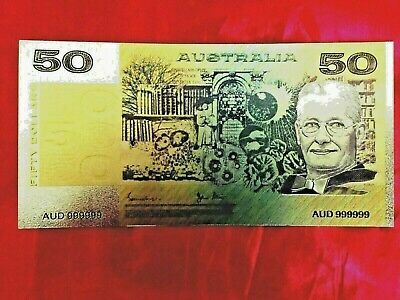 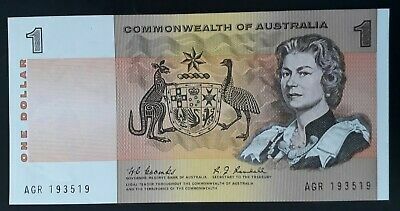 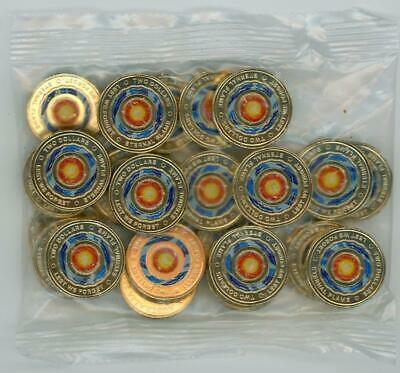 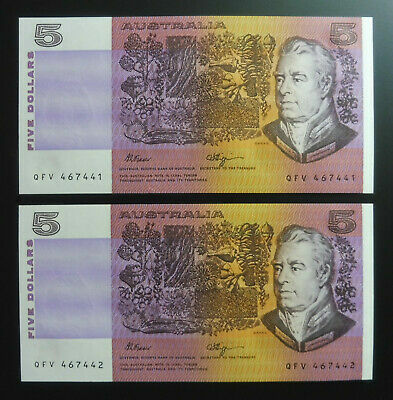 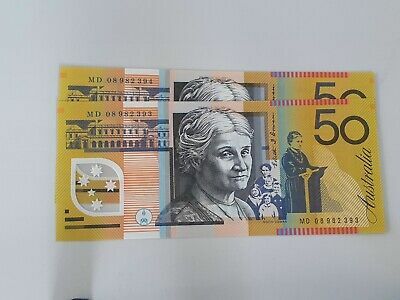 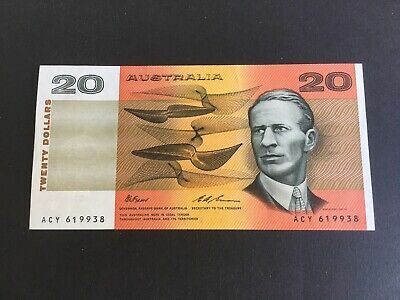 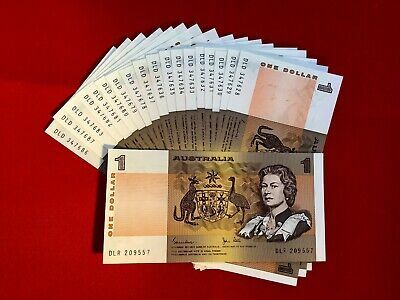 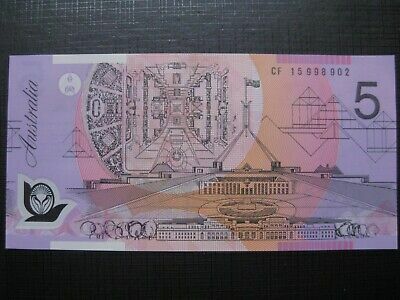 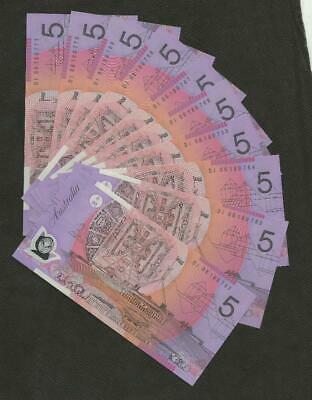 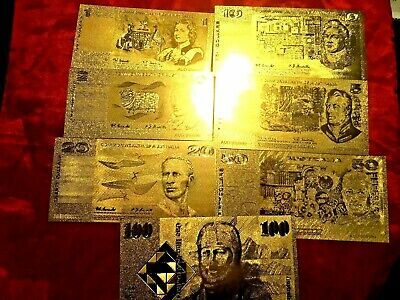 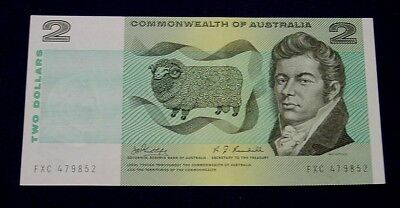 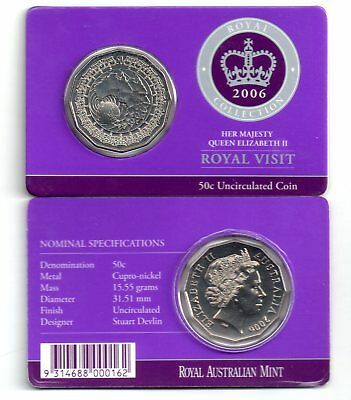 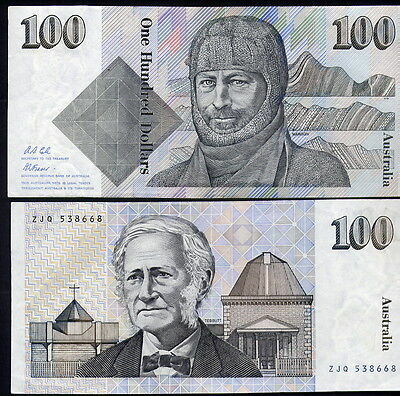 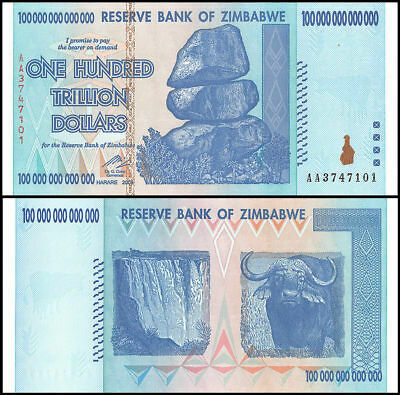 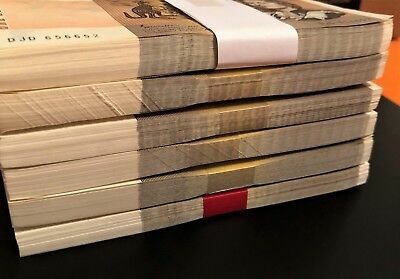 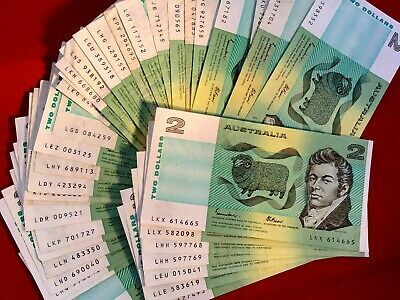 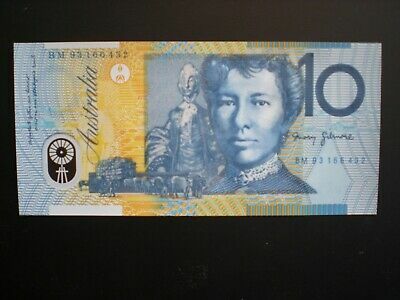 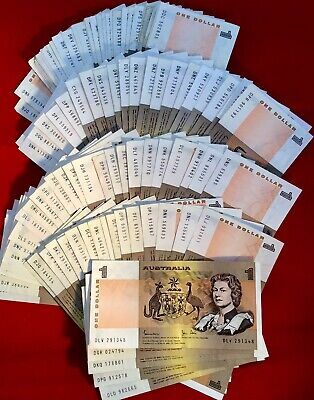 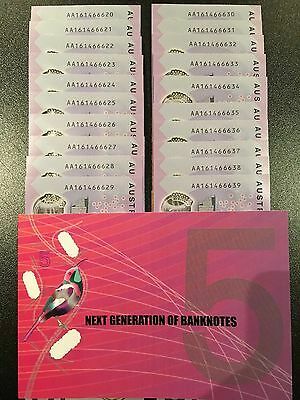 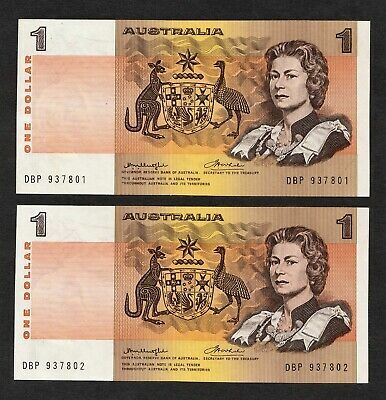 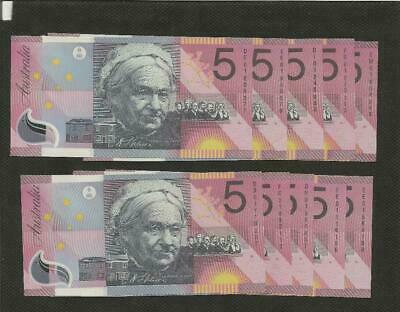 1st type polymer issue, Uncirculated..
UNCUT Vertical Pair $20 Polymer Banknotes McFarlane/Evans 1998 in Folder. 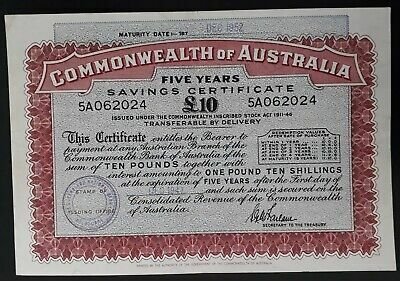 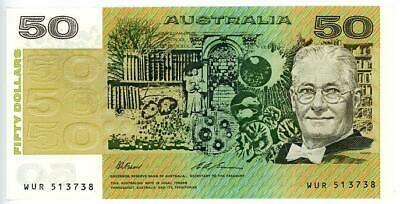 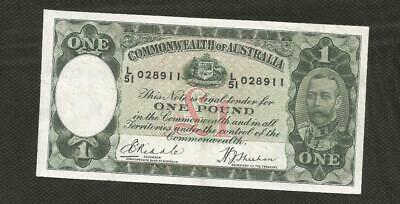 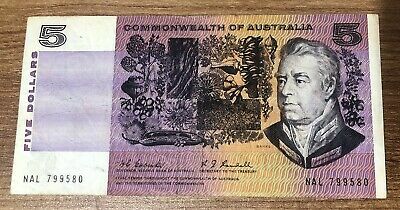 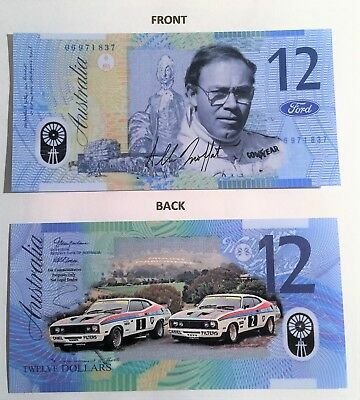 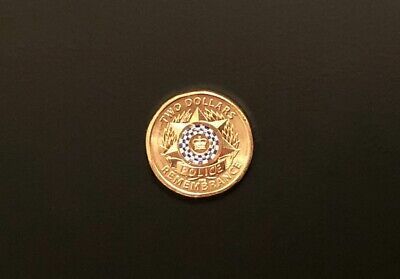 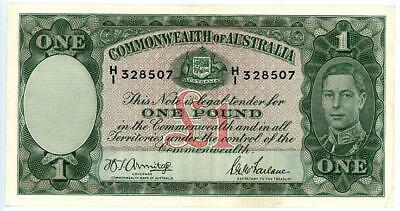 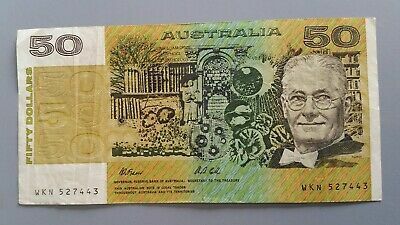 Allan Moffat 1,2, Polymer Novelty Note, Falcon, BP, Bathurst, Ford, Camel. 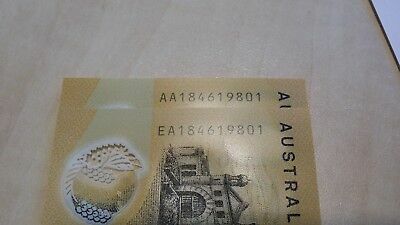 2014 AA14 $100 FIRST Prefix UNC Note - RARE! 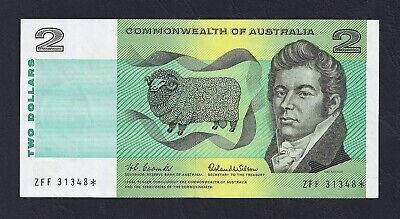 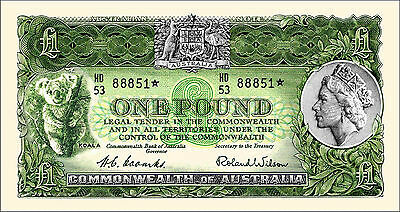 1966 Coombs / Wilson first year and prefix of the $20 decimal note XAA 491424.